We install high-efficiency systems designed to be the most cost-effective on the market and geared to your particular facility. The wide-ranging of services JCF provides are the markets we serve and with JCF’s management team, working together with our field … JCF’s clients reaps the benefits. 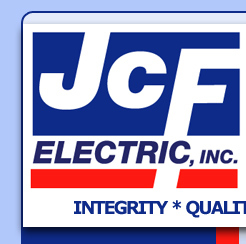 JCF Electric is proud of the integrity of its workers and its long-term relationships with clients. We are a licensed, experienced and highly recommended contractor serving the electrical needs of clients in the Greater New York Metropolitan Area. At JCF, we see things a little differently for we personally focus on what matters the most: integrity, quality and safety. When it comes to getting your projects delivered, our differences are what count.